About $212,000 in federal money loaned to a property owner for a grocery store development in Bronzeville is at risk because the owner violated the terms of the loan, according to the lender. In 2011, the Milwaukee Economic Development Corp. approved a $400,000 loan to businessman Andy Khullar to open a grocery store in Brooks Plaza, at the corner of N. King Drive and North Avenue. Khullar said he would own and operate the store. The grocery store was to occupy the former Walgreens space, but in late 2012 Khullar leased the property to Dollar Tree, a Virginia-based publicly owned company. David Latona, MEDC executive vice president, said MEDC warned Khullar at that time that leasing the space to Dollar Tree would violate the loan agreement, which required that the business be owner-occupied. 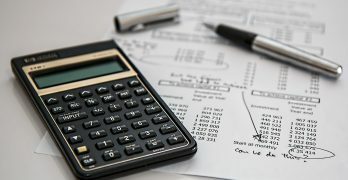 MEDC runs a CDFI (Community Development Financial Institution) Revolving Loan Fund that invests in targeted areas of economic distress throughout Milwaukee. Khullar had received about $212,000 when he told MEDC about his change of plans, and the organization immediately stopped disbursing funds. Sachin Chheda, a spokesperson for Khullar, said Khullar has every intention of paying MEDC back. Latona pointed out that if Khullar had decided to open an owner-occupied discount store, he would still be in compliance with the terms of the loan. Dollar Tree stores all are owned by the corporation, however. 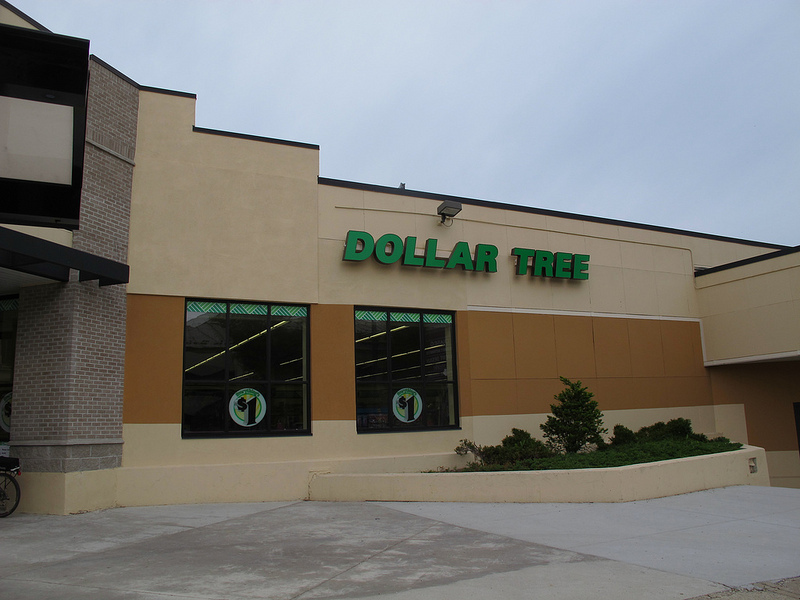 The city’s Licensing Committee, comprised of T. Anthony Zielinski, Nik Kovac, Joe Dudzik and Jose Perez, voted 4-0 to reject the Dollar Tree’s food license on June 13, leaving the store in limbo. Ald. Milele Coggs, vice chair of the committee, abstained. 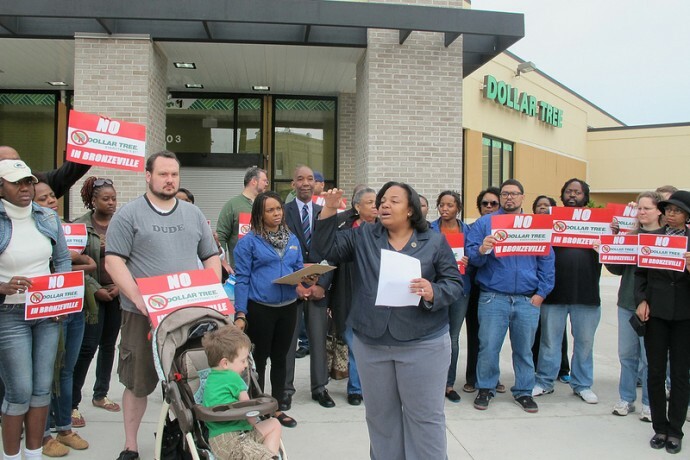 Coggs has been a vocal critic of what she considers a “bait and switch”: promising the community a grocery store and delivering a dollar store instead. Khullar and Coggs, who represents the district where the property sits, had clashed earlier about a proposed Class B tavern license, which would allow “consumption of intoxicating liquors and fermented malt beverages on the licensed tavern premises.” That license request was put on hold in October 2010. Although the tavern license hadn’t been approved, Khullar purchased the property and continued to pursue the grocery store anyway, using his money and the loan to install coolers, sinks and drains, equipment that would be needed to sell fresh food, Chheda said. However, Chheda said that based on resident feedback and Coggs’ concerns about the license, Khullar began considering other options for the property. At that point, a broker told Khullar that Dollar Tree was interested in the space, according to Chheda. “If he (Khullar) felt like there was red tape or a brick wall with the liquor license, he could have walked away from the project or called me to discuss his concerns,” Coggs said. Nevertheless, in a letter to the Common Council written June 13, Khullar apologized and admitted he should have communicated better. “Seeing the concerns of the community, I know that with the Brooks Plaza project, I could have done a much better job of communicating with Alderwoman Coggs and her staff, as well as our neighbors,” he wrote, adding that he is still committed to bringing a fresh food vendor to the plaza. In the letter, Khullar also said that both MEDC and the city were aware of the Dollar Tree project. 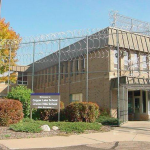 “MEDC proposed a loan modification and offered to release additional funds, and city departments actively assisted Dollar Tree and approved the permits requested,” Khullar wrote. 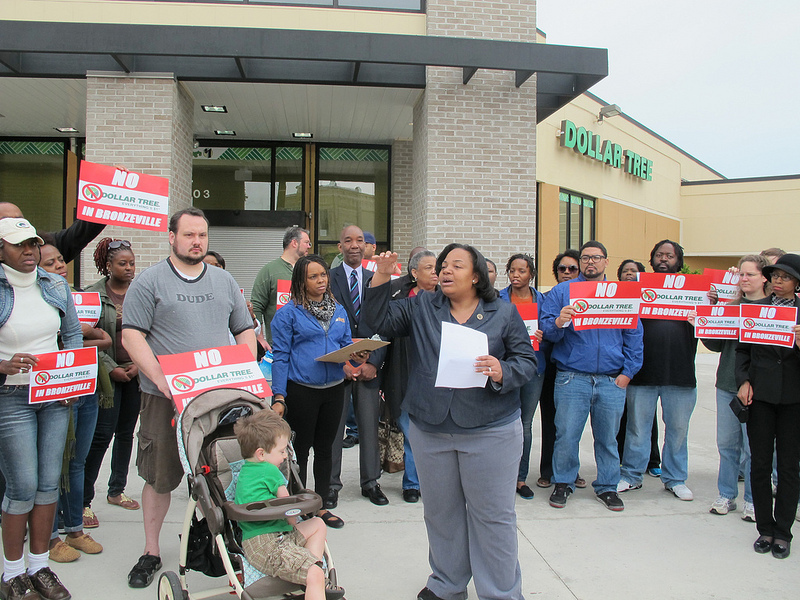 However, Latona said the loan modification offer was meant to pay the contractors who had installed coolers and sinks for the grocery store, and had nothing to do with the Dollar Tree. Fully stocked shelves of merchandise inside the new store can be seen from the street, but it’s unclear whether Dollar Tree will open the store or try to get out of the lease if it isn’t permitted to sell food. Calls to the corporate office were not returned. The Common Council is expected to vote on the food license at its July 2 meeting.